From McKinney, Texas, Symmank attended Southern Arkansas University before transferring to Texas Tech University. As a Red Raider, Symmank flourished and became well known for his strong leg. 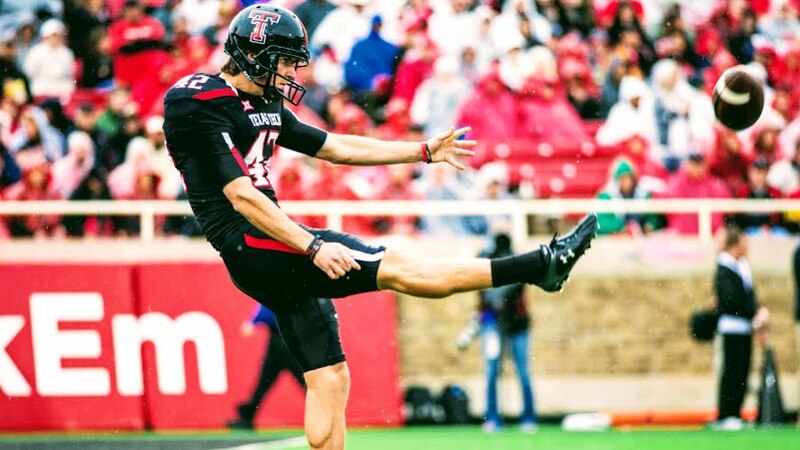 Symmank led the Big 12 in gross punting average in 2015 and finished 8th in the nation at 46.0 yards gross. Undrafted in 2017, Symmank quickly signed on with the Minnesota Vikings during the 2017 offeason and preseason before being waived during final preseason roster cuts. He logged 9 punts in the preseason with an average of 42.9 yards per punt. He also has a stint with the Kansas City Chiefs. In 2018, Symmank will bring his booming leg to The Spring League in order to get more NFL exposure. TSL Showcase DE Kiante Anderson signs with the Tampa Bay Buccaneers!